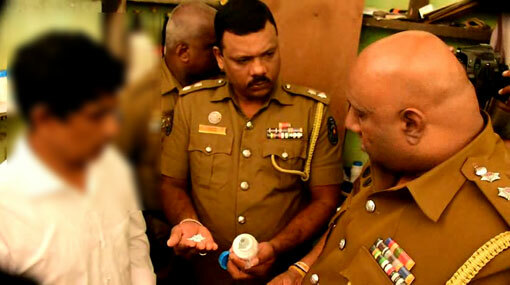 A fraudulent medical clinic has been raided in Weerasooriya Kanda area in Pasyala, at around 12 p.m. yesterday (15). The officers of Weeragula Police had made the arrest acting upon a tip-off received in this regard. An individual feigning as a fake Ayurvedic doctor has been taken into custody along with nearly 400,000 narcotic pills and tablets. The arrestee is revealed to be a 59-year-old residing in Pamunuwatta, Mirigama. The suspect is to be produced before the Attanagalla Magistrate’s Court today (16). Weeragula Police is conducting further investigations into the incident.